In a large mixing bowl, combine mustard, paprika, olive oil, parsley, sesame seeds, and garlic. Stir to combine. Add chicken and make sure to fully coat. Season with sea salt and black pepper. 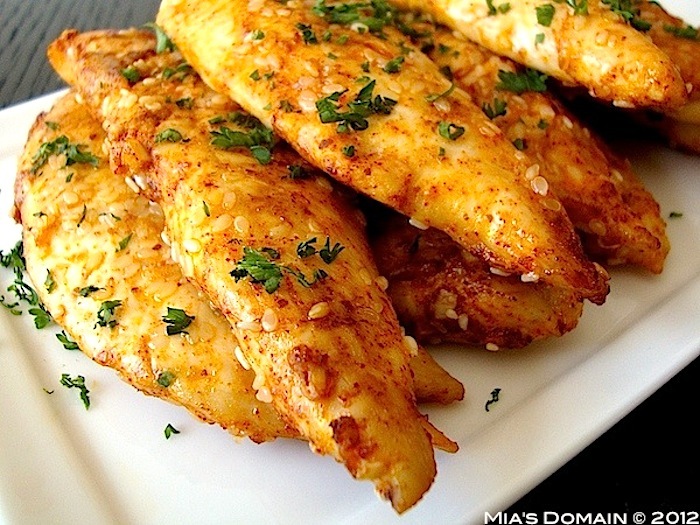 Arrange chicken in a single layer on a prepared baking sheet. Drizzle extra olive oil on top of the chicken. Bake for 5 minutes, turn over and bake a further five minutes or until chicken is cooked and crispy. You know what makes this recipe for me? The Sesame Seeds. Love them! Thanks for sharing at Church Supper. Have a blessed week. Pesticides Are Good for You? !